The concept of using heat transfer to produce usable energy to help you recharge your phone is behind Epiphany Labs' onE Puck, which is now looking for funding from the Kickstarter site. Yes, the product looks like a hockey puck with one side in blue and the other in red. To generate the power, if you have something hot like a cup of coffee, you put it on the red side. If you have something cold, like a cool mug of beer, you put it on the blue side. Enough energy is created to fully charge your phone. The onE Puck will work on iOS and Android devices. Interested? On the Kickstarter site (click on the sourcelink), the different funding options are explained. While the idea is to retail the onE Puck for $150, a pledge of $99 or more will reserve for you an Epiphany onE Puck, which is expected to be available March 2014. Once the funding goal has been reached, you will also receive a t-shirt and a windshield sticker. Shipping is free in the U.S., $15 elsewhere. Backers can pledge $135 and receive free engraving on their device. 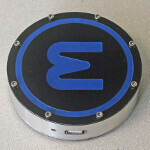 Epiphany is looking to raise $100,000 by April 6 to put the onE Puck into production. As of Thursday, they have raised just shy of $25,000. This thing is gonna be hot! 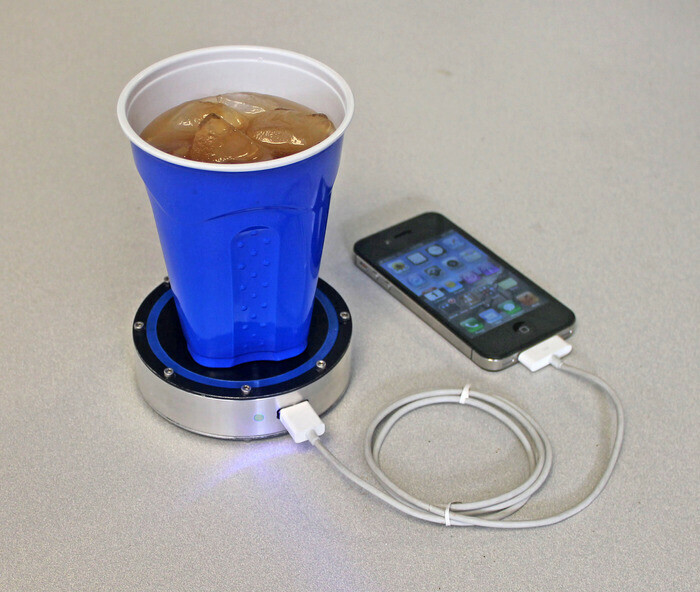 So you charge your phone in exchange for then drinking luke warm beverages? Seems kind of pointless. Your out camping have no where to charge your phone or tablet your bill up some water over a fire pour into thermos and place on pad and voila. There are tons more implementations for the device obviously. Being able to use cold or hot items to conduct a charge is quite impressive. Let's say you have your beverage sitting on the table. It's undergoing heat transfer at all times because it's in contact with the atmosphere, which is usually at a different temperature than your drink. Some of this heat is also exchanged with the table you placed it down on. Placing this puck in place won't make your drink cool down any more quickly because your drink was already losing (or gaining) heat to begin with. PHYSICS!